For less demanding pursuits, this is a good-tasting bar. For its intended purposes (post-workout boost), it didn't hit the mark. Not an overpowering flavor. Nothing like a Girl Scout Thin Mint cookie, but still very good. 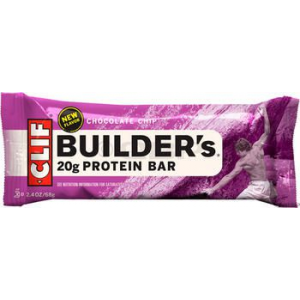 I purchased a few of the Clif Builder's mainly because my wife likes chocolate while on the trail and I like convenient snacks. This was an easy way to meet both our desires. 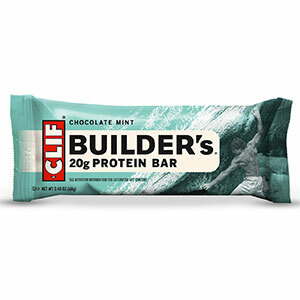 It is important to note that Clif really touts this as a post-workout protein bar, so my wife and I tried them on two separate occasions. Once as a trail snack during an easy-going hike and again as a post-hike boost after a demanding day-hike where we really worked up a sweat. I'll admit it, I love Girl Scout Thin Mint cookies and thought this would taste similarly (if you don't know what I'm talking about, I'm sorry for you). Not even close, but that's okay. 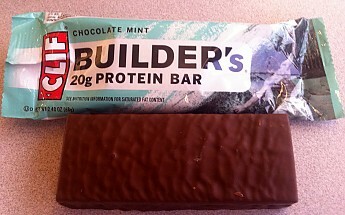 This bar has a much more subtle mint flavor and the chocolate is just a thin coating, not the substance of the bar. As the thin layer of chocolate melts away, the sweet flavors of the inside crunchy/chewy stuff (a combo of oils, syrups, almond, oat fiber, and soy protein) are revealed. As a trail snack: While on the trail, this bar did exactly what I was hoping it would do. 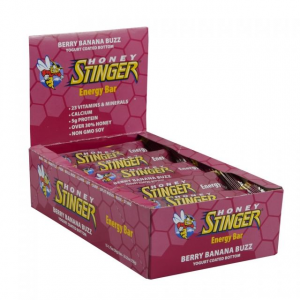 It made for an easy snack that I could take a bite of, tuck back in the wrapper, and keep moving. It also did exactly what my wife what hoping for, it brought her the flavor of chocolate while hiking. We were both happy! Well, except for the one I left in the lid pocket of my black hiking pack. The heat from the sun kinda melted that one, but it was still appetizing. 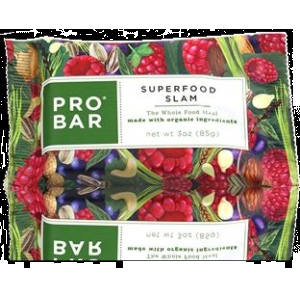 As a post-workout boost: When we tried it as a post-hike bar, it was a little less appealing. We were drenched in sweat from a combination of humidity and mountain trails and at that point, the bar seemed so thick to swallow that we had to guzzle water to rinse it down. Even then, there was a chalky aftertaste that we both experienced. If increased protein post-workout was what I were really looking for, I'd much rather go the route of a protein powder that mixes into liquid. I've had much better experiences with protein powders in terms of taste, cost, weight, versatility (and it doesn't melt). So while the price is roughly 30-40% higher than that of a regular Clif Bar of the same flavor, the only real difference is twice the amount of protein and about 1/3 less carbs. 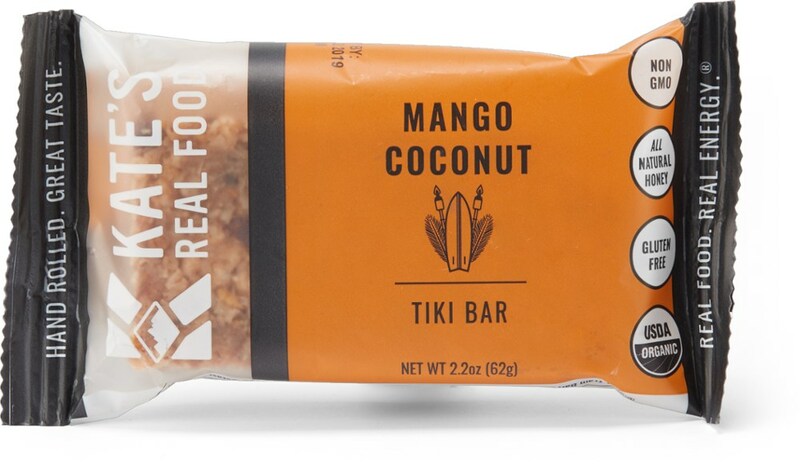 While I (and my wife) really enjoyed this bar as a trail snack, I can't say the same for when I used it for its more intended purpose - as a post-workout protein bar. In the latter case, it seemed too thick for enjoying and the flavor was washed away quickly because of the chalky feeling it left in my mouth (and my wife had the same experience post-workout). If you want the taste of mint chocolate during a less-demanding pursuit, say an easy hike, leisurely bike ride, fishing, etc. then by all means, this bar will serve you well. 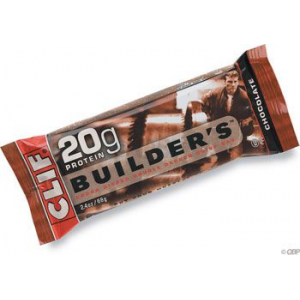 Good comparison of different uses for the bar as well as the specs to the regular Clif Bar. Thanks, Kiwi! Nice review, KK. I would have been tempted to try a mint bar. You saved me some cash. 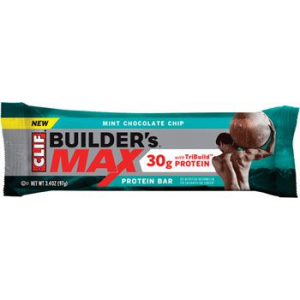 The Clif Builder's Chocolate Mint Bar is not available from the stores we monitor. It was last seen August 31, 2017	at CampSaver.com.